Additional base of Vision International People Group Public Limited ©. Compatibility with Metapathia 1,2,3, Emerald. 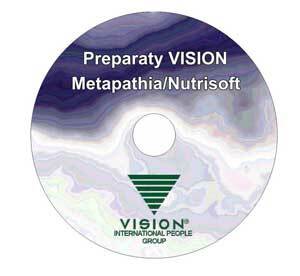 This CD no contain the instalation of metapathia or nutrisoft. This is only add-on.